By Amid Amidi | 12/03/2018 2:56 pm | Be the First to Comment! Disney-Pixar’s Incredibles 2 and Disney’s Ralph Breaks the Internet lead all projects with 11 and 10 nominations respectively at the 46th annual ASIFA-Hollywood Annie Awards, whose nominations were announced today. It’s not exactly a surprise. For each of the previous three years, a Walt Disney Company has received the most nominations: Inside Out in 2015, Zootopia in 2016, and Coco in 2017. Across its various subsidiaries, the Walt Disney Company scored a total of 42 total nominations, including five for the animation work in Mary Poppins Returns. The Walt Disney Company, for the record, is also the leading financial sponsor of the Annie Awards, and owns nearly half of the event’s sponsorship slots. In the best animated feature category, Incredibles 2 and Ralph Breaks the Internet are up against Aardman’s Early Man, Fox Searchlight and Wes Anderson’s Isle of Dogs, and Sony Picture Animation’s Spider-Man: Into the Spider-Verse. 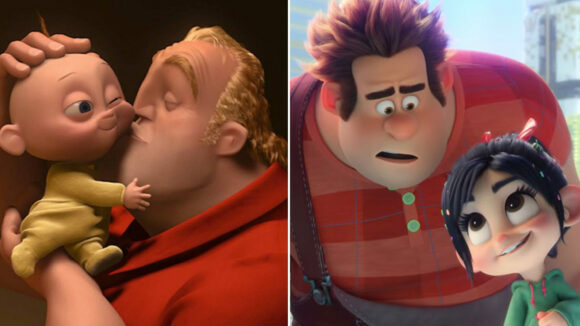 After the Disney productions, Spider-Man: Into the Spider-Verse and Early Man were tied for the third-most feature nominations with seven apiece. Spider-Man was nominated in all key categories, including directing, writing, animation, and production design. Isle of Dogs earned four nods. 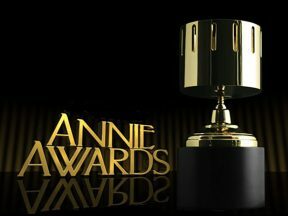 The Annies recognized indepedent animated features in a separate category. The nominees for that award are This Magnificent Cake!, MFKZ, Ruben Brandt Collector, Mirai, and Tito and the Birds. ASIFA-Hollywood says it received 1,600 submissions this year. The nominees are selected by different committees. ASIFA-Hollywood members vote to determine the winners. The animated short category is easily the most surprising one this year. 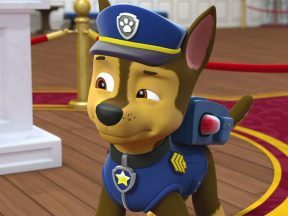 The category is comprised of five independent and international productions, while major studio productions including Pixar’s Bao and Dreamworks’ Bilby and Bird Karma were left off the list. 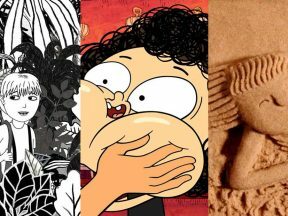 The list of nominees falls more in line with international animation festival standards, and four of the five nominees in this category were each selected multiple times in our recent survey of international animation experts to identify the best animated shorts of the year. Mary Poppins Returns is nominated for Best Character Animation in a Live Action Production and Best Animated Special Production, both of which accurately reflect the production. 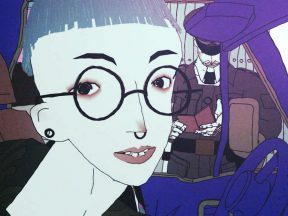 But then, the film is also nominated for character design, production design, and storyboarding in the categories for ANIMATED feature production. The nomination of the film in the animated feature production categories clearly violates ASIFA-Hollywood’s own rules about what constitutes an animated feature, not to mention contradicts the film’s other nomination in the live-action production category. For studios that were actually producing animated features, it’s three slots lost. The Google Spotlight Stories project Age of Sail received four nominations, the most for any vr project. Dreamworks Animation picked up 11 nominations across its various productions, including four for its Trollhunters productions from Guillermo del Toro. Netflix was the most nominated streaming service, receiving 14 nominations for its various productions. Adding in the Dreamworks productions created for Netflix, that total rises to 20 nominations. 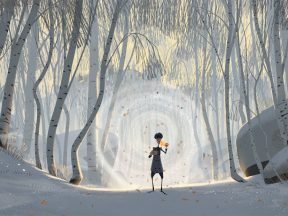 The China/Canada feature co-production Next Gen, which was bought by Netflix, received three nominations, as many as Illumination’s The Grinch and Sony Picture Animation’s Hotel Transylvania 3. Warner Animation Group’s Smallfoot received just one nomination. 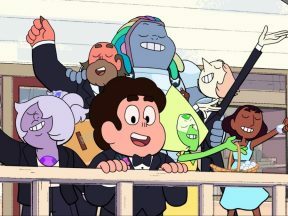 The Annie Awards will take place on Saturday, February 2, 2019 at UCLA’s Royce Hall in Los Angeles, California. Episode: Let's Get to That Thing!